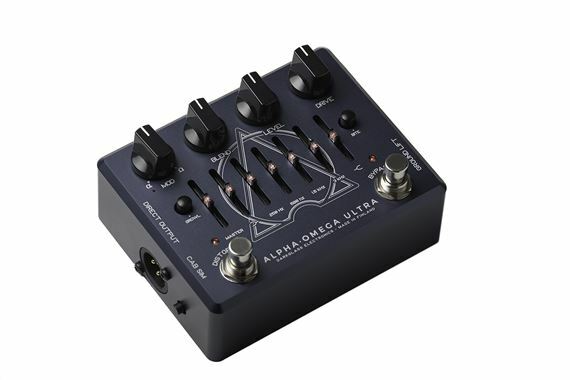 Order your Darkglass Alpha Omega Ultra Bass Distortion and Overdrive from AMS and enjoy 0% Interest Payment Plans, Free Shipping, Free Extended Warranty & 45 Day Money Back Guarantee. As Technology progresses, so does what devices will be able to do to empower musicians’ creativity, and Darkglass’ main goal is exactly that: To push the boundaries of what musicians are able to achieve. This release of the Alpha Omega Ultra is the beginning of a new era. Today, Darkglass Electronics is taking a step into the future with our newest creation. 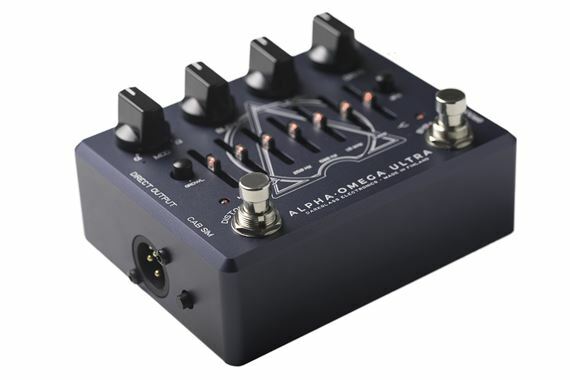 The Alpha·Omega Ultra is the most versatile bass preamplifier we’ve designed: with its two distinct distortion circuits (Alpha and Omega), extremely high dynamic range, six-band active graphic EQ, dedicated headphone output and balanced direct output with switchable digital impulse-response cabinet emulation make for an incredibly complete tool for the modern bass player. And as more and more musicians go direct, the need and benefits of incorporating studio-grade cabinet emulation into our top-of-the-line creations were evident. 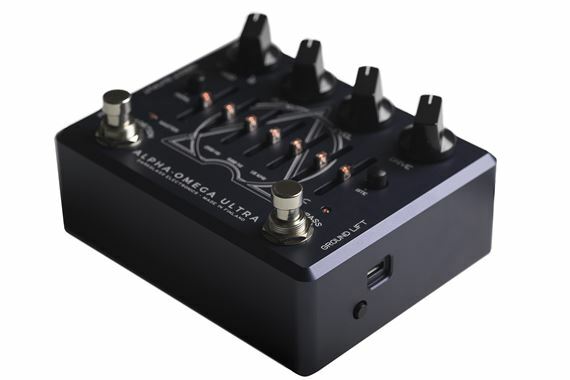 Now, you can have an uncompromising, ready-to-mix sound with your Alpha·Omega Ultra everywhere you go. With the Darkglass Alpha·Omega already a successful release in 2017, the Ultra version is meant to be exponentially more versatile with these groundbreaking features. Everyone knows Darkglass, for good reason. All of Darkglass pedals are top shelf, hand built in Finland. You just need to find the right one for your sound. Out of the gate you can dial in so many distinctive tones from a Geddy Lee growl to a full on Lemmy. Highly recommend Darkglass and AMS. Been buying from AMS on the regular for over 5 years now and they are always great. 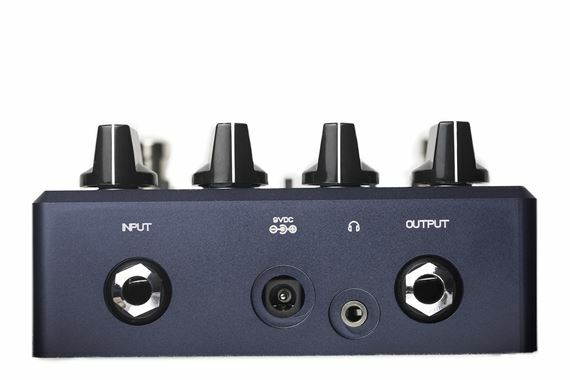 Solid, reliable and with so many options this is hands down the best bass distortion you can get. 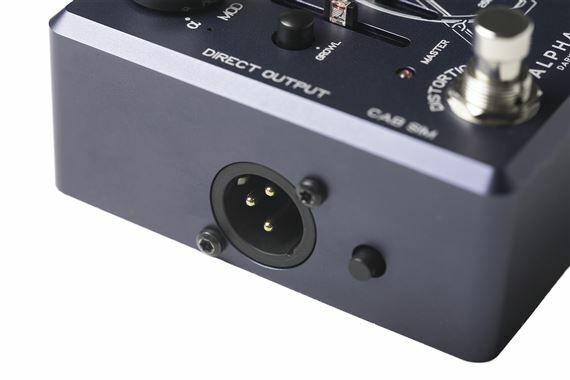 The cab sim option really adds depth and detail to your finished tone, and swapping the IRs is simple. Thanks to AMS for having the stealth black model and fast shipping! Easy to use. Dialed in a killer tone in a few minutes. Recommended to all bassists. 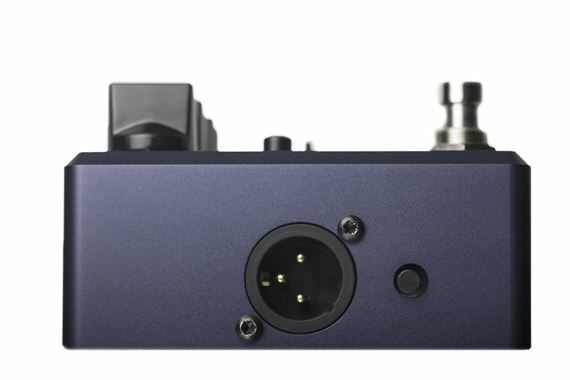 I have used quite a few preamps and this one is the best. The overall construction is excellent. The 6-band EQ frequencies are spot on for dialing in my sound. I’m not a huge OD guy, but I love the sounds you can get...especially when combined with the MT 900 bass amp. You won’t regret it! This is the bomb, best bass tone ever!!!! 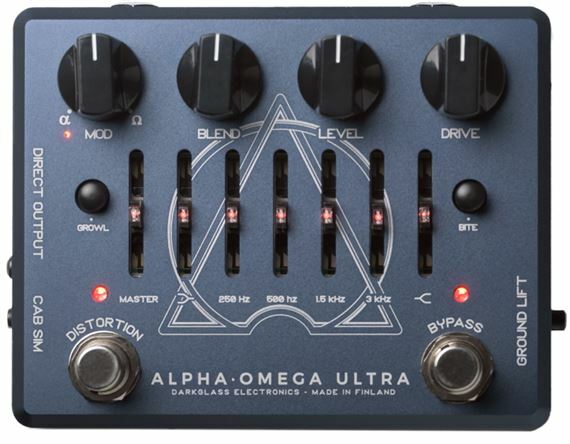 The alpha omega is the most versatile bass pedal I’ve ever seen. Out of the box it’s outstanding. And AMS had it here on time!!!! !